Doug Warren, VP of Software Industry Solutions at Schneider Electric says that Roy Hill was a prime candidate for a successful application of digital mining software solutions. What has resulted from Roy Hill’s digital applications is an organization free of bureaucracy, where efficiency is readily possible through streamlined processes that can drive high performance, fit for purpose outcomes. 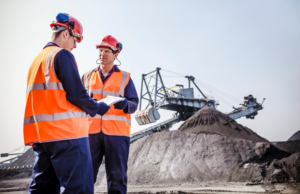 Most leading mining companies have historically evolved with organizational silos, usually between mines, processing facilities and logistics. In the age of increasing automation, data, and digitalization, these silos often prevent end-to-end visibility and optimization opportunities to realize resource to market potential. Roy Hill is empowered by operations to monitor and control the entire mining value chain, from mine to the port, all from a remote location. The solution automates, streamlines demand chain planning, inventory tracking, quality management, and capacity simulation, among other capabilities.